"Here is a shared Google Doc...go and collaborate on a project...."
"Go to the Collaboration space and make a plan together....."
"Share the work on this interactive tool....."
Technology can be a great tool for collaboration and yet many teachers do not understand why it continues to fail in their classroom. Collaboration is not something that automatically happens when you add technology tools. It is something that needs to be facilitated and taught by the teacher. ​I love using Minecraft Education Edition with students. It creates conditions that are beneficial for learning, and particularly for engagement, collaboration, and creativity (Riseberg, 2015). But having students join your server and collaborate on a project without any structure will result in chaos. I learnt this the hard way the first time I attempted setting a construction task. Minecraft could be replaced by a multitude of different platforms but the message remains the same. Teachers need to consider how the collaboration activities will work with certain technology tools. Does it change the dynamic of the collaboration or make it easier for one person to sit back and let others do the work for them? Technology tools are not always the silver bullet they are made out to be. Often it takes extra work to get them achieving what you want them to. This can be the reason why it is so easy for teachers to fall back on what they know works. For me, the way I can help my students collaborate using technology is by persisting with it, supporting them and structuring its use in a way that is going to ensure their success. Risberg, C. (2015). More than just a video game: Tips for using Minecraft to personalize the curriculum and promote creativity, collaboration, and problem solving. Illinois Association for Gifted Children Journal, 44-48. Fears about technology overuse was identified by Roblyer and Doering (2014) as an issue that shape the environment for using technology and teacher responses and responsibilities (p. 24). The screen time debate is a popular topic among parents and educators. But who is responsible? I believe both parties have to shoulder some responsibility. There's no doubt that parents are busier than they have ever been, often both working. Many adults seek their own down time on their devices and often also let their children do the same. Parent screen time is the strongest predictor of child screen time according to Lauricella, Wartella and Rideout (2015). iPads are the babysitters of the new generation, the way that TV was 30 years ago. However, when this is added to classroom screen time at school, students can be spending multiple hours on front of screens per day. There is a push to continue to use technology in bigger, better ways starting right from the Australian Early Years Learning Framework. Unfortunately this educational perspective on digital technology use by young children contrasts with the public health guidelines (Staker, Zabatiero, Danby, Thorpe & Edwards (2018). Roblyer, M. D., & Doering, A. H. (2014). Integrating educational technology into teaching. Harlow, United Kingdom: Pearson Education Limited. Straker, L., Zabatiero, J., Danby, S., Thorpe, K., & Edwards, S. (2018). 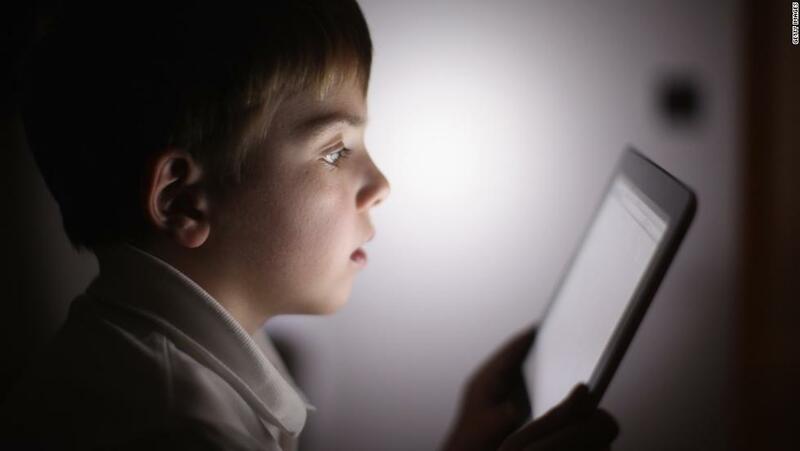 Conflicting guidelines on young children's screen time and use of digital technology create policy and practice dilemmas. The Journal of pediatrics, 202, 300-303. 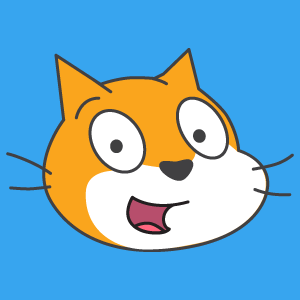 Scratch is a product developed by MIT with the aim of making programming accessible to all. Teachers can apply for an educator account which allows them to facilitate student projects. The Scratch community can be a powerful learning tool for students, by looking inside projects they like, they can learn from others and even create their own spin-offs of their projects. The Hour of Code website provides a library of free activities that engage children in coding. 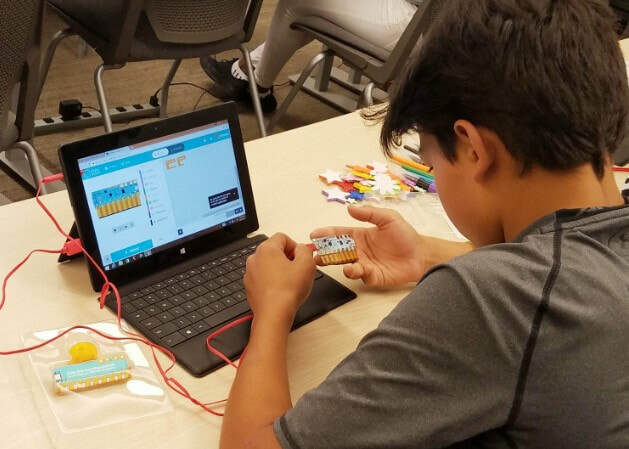 These are not open ended like Scratch or Microsoft Make Code, but they do help children learn the basic concepts of coding in easy to understand projects. When I am looking to extend students to some of the deeper concepts of programming, I connect them with Khan Academy. Their Computer Programming course is interactive and self-paced and is perfect for motivated learners who want to learn more. 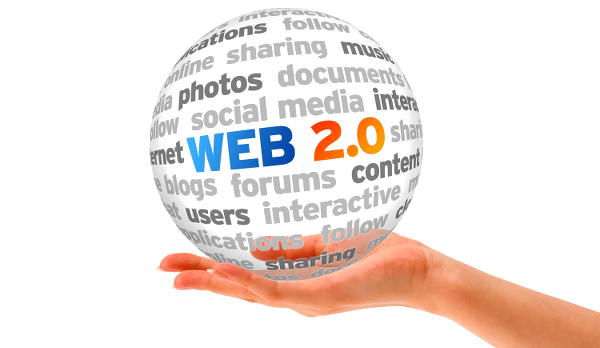 The birth of Web 2.0 tools changed the way we used the interent. It allowed individuals to collaborate with one another and contribute to the authorship of content, customise websites for their use, and instantaneously publish their thoughts (Alexander, 2006, Heafner and Friedman, 2008). This naturally had an impact upon education and the way technology was used in the classroom. In this blog post, I describe 3 positive ways Web 2.0 can be used in teaching. While classroom and student collaboration is an easy to identify benefit of Web 2.0 tools, the rise in global teacher professional learning networks (PLN) are largely enabled by Web 2.0 tools. Social networks such as Twitter connect teachers from all over the world. Teacher forums, blogs and online groups allow teachers to not only share resources but dicuss common issues and support each other. It seems that Web 2.0 are enhancing the teaching profession in and out of the classroom. Some think that Flipped Learning is all about making videos children watch at home. It is not. According to Sams and Bergmann (2013) it's about how to best use your in-class time with students. Technology tools can helps teachers move away from direct instruction as their primary teaching tool toward a more student-centered approach. Teachers can curate content for students to work on or set individualsed tasks on a waide array of educational platfroms, in a sense freeing them to work with groups and individuals. The dizzying array of quiz, data collection or audeince participation tools online is incredibly useful in the classroom as formative assessment tools. Chaiyp and Nokham note the positive outcomes and perceptions from stduents when using tools such as Quizziz and Kahoot. As well as being highly motivating to students, they can provide teachers with insights that can inform future instruction. Chaiyo, Y., & Nokham, R. (2017). 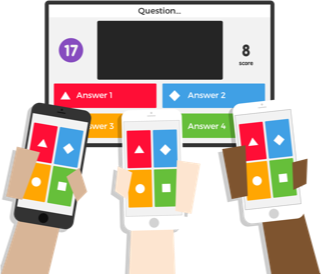 The effect of Kahoot, Quizizz and Google Forms on the student's perception in the classrooms response system. In Digital Arts, Media and Technology (ICDAMT), International Conference on (pp. 178-182). IEEE. ​Sams, A., & Bergmann, J. (2013). Flip your students' learning. Educational leadership, 70(6), 16-20. Over the past few years, my role has had significant impact upon the hardward and software decisions we have moved forward with on the Primary Campus. From Year 3 students bring their own device to school. 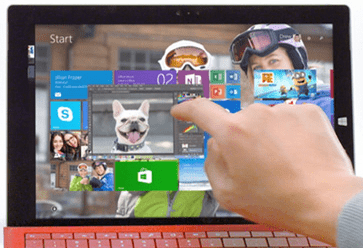 We specify a 2-in1 touch screen device, with a stylus, operating Windows 10. When making these decisions, I considered the best ways for younger students to work and how they could best be supported by technology. Touch capability and a stylus were two things that I considered valuable for younger learners. The use of a pencil is already largely automated in student brains, so a pen interface can easily leverage these existing patterns (Oviatt, 2012). Further to this, Oviatt (2012) states that digital pen interfaces are better suited for expressing spatial content. Younger students often do not have the fine motor developed for making use of trackpads. Reaching out and touching is very natural to them and mirrors what they have learnt to do on mobile devices, which many are exposed to from an early age these days. 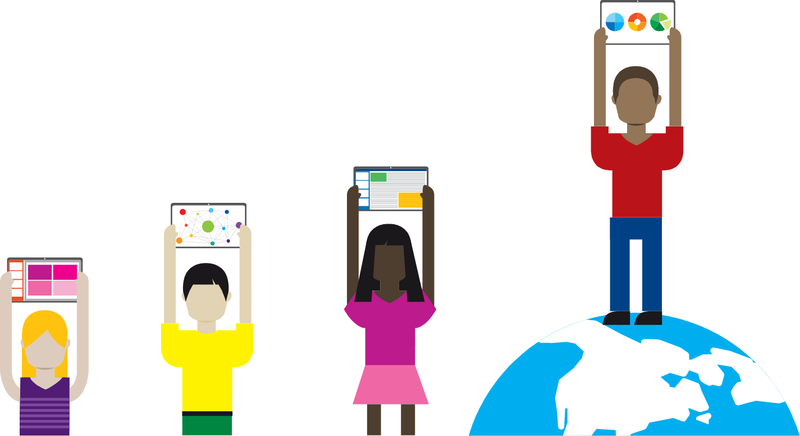 The Learning Tools found natively in a variety of Microsoft software applications, also provide students with disability or learning difficulties the opportunity to take ownership over their own learning. Roblyer and Doering (2014) describe these tools as assistive technology, which are technology tools that offer increased opportunities for learning, productivity and independence (p. 434). 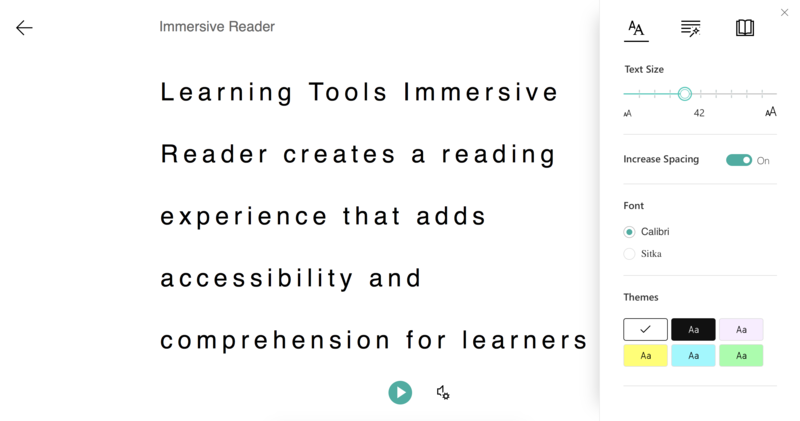 ​In her research study, McKnight (2017, p. 5) reported significant gains in students’ reading and writing when using the Immersive Reader and Dictation in Microsoft’s Learning Tools. The capability of the tools to provide equity through access, support student choice and personalised learning was also highlighted (p. 6). ​Roblyer, M. D., & Doering, A. H. (2014). Integrating educational technology into teaching. Harlow, United Kingdom: Pearson Education Limited. Student-centred learning is largely associated with constructivism (Tagney, 2014, p. 276). Constructivist theories of learning suggest that learners are active participants and create their own knowledge by connecting new information with their existing knowledge, experiences and ideas (Harris, Spina, Ehrich, & Smeed, 2013). This counters what are considered direct models of teaching, where knowledge is transmitted, and students are passive recipients. While I, like many teachers, love the concept of constructivism, the realities of implementing a genuinely constructivist approach in the classroom has its challenges. Curriculum and reporting requirements, assessment techniques, classroom environments and common pedagogical approaches still support direct models of instruction. Contrast to beliefs, the addition of technology tools does not automatically change this. ​While not a guaranteed fix, I do think it provides a starting point that helps teachers move to more student-centred applications. Tagney, S. (2014). Student-centred learning: a humanist perspective. Teaching in Higher Education, 19 (3), 266-275. In this Blog post I share about two software tools I have had significant experience with. Both offer great ways for students to reflect on learning and for teachers to give feedback. Flipgrid is an online video response tool where teachers create discussion topics for students to respond to by providing them with a a Grid Code. The tool can facilitate online discussion through video replies. Some added features are the ability for teachers to create custom rubrics for their topics and the transcript of audio for added accessibility. Settings allow teachers to control the length of video responses and a range of other aspects. Teachers also have the option of keeping videos completely private, which adds another layer of potential. Flipgrid promotes the platform in claiming that it gives every student voice in the classroom (see video below), making learning social and adding a personal element to online discussions (Green & Green, 2018). It taps into social media culture and feels similar to how you might use Snapchat, Instagram or similar platforms, which is naturally appealing to students. "Flipgrid acts as a compliment and an alternative avenue for reflections and synthesizing thoughts. In addition, it helps students begin to hone their public speaking skills without having to stand in front of the entire class. Flipgrid is low stakes, as students are able to practice with the technology and provides a platform for reserved students to have a voice in the overall conversation of the class." One of the great things classrooms can do is share a grid with another class in the world. This is known as having a Gridpal. 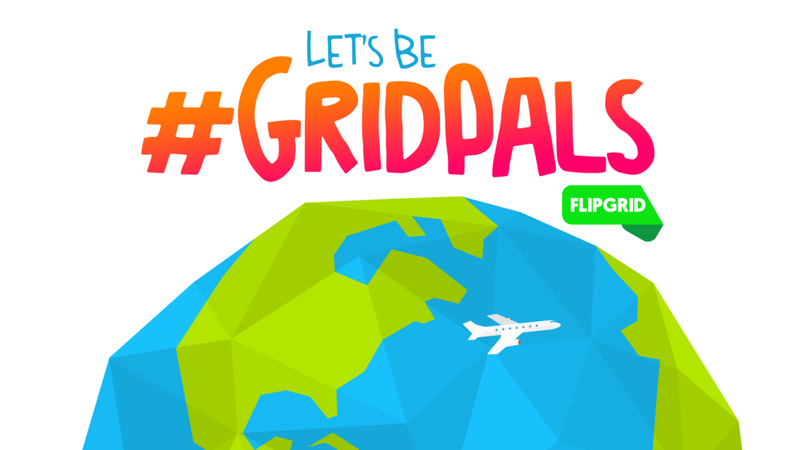 This year classes from Year 4-6 at my school had international Gridpals which has been the most rewarding experience for the students. The children collaborated on a number of topics created by myself and the classroom teachers. Students were motivated to participate and loved getting responses from their Gridpals. Example from a personal grid with Year 5 students. 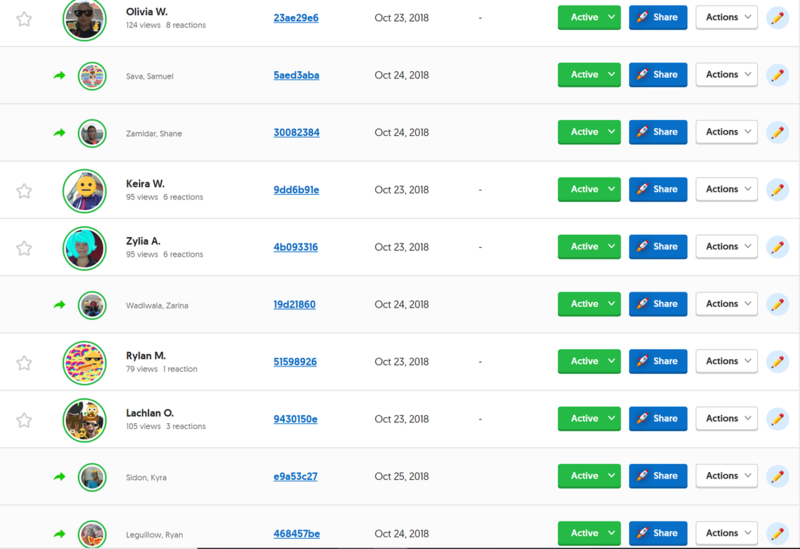 In this image, you can see student videos and responses from their Gridpals. Class Dojo offers a suite of classroom tools for teachers, one of which is Digital Portfolios. This tool allows students to share their learning with their teacher and parents. Students access their class by scanning a QR Code. This works across devices, as long as they have a camera. 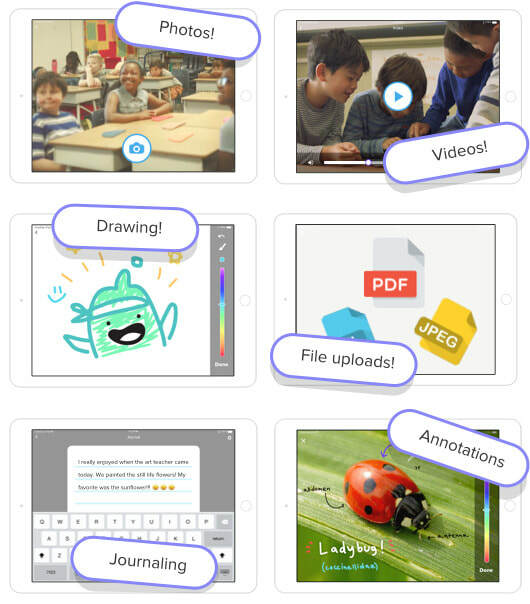 Similar to Seesaw, the platform allows students to add photos or videos, create a drawing or write journal entries. the added functionality of voice recording means that even the youngest learners can share their work. Teachers control the content, by approving posts before they go live and can give feedback through comments or voice response. Parents can also give praise and feedback to their child. Within a classroom, teachers can set up portfolios for different subject areas and set tasks for students to complete. The work posted follows them as the progress through different year levels, creating a learning journey. This tool, like Flipgrid, facilitates reflective learning and is fantastic way of building up evidence that is very useful come assessment time. Madden (2018) noted the benefits of using student posts on Class Dojo Digital Portfolios as evidence of their progress toward a mastered skill and a way to inform teaching. We have found it invaluable in tracking student progress in Project Based Learning units. The connection this tool forms between school and home is one of this platforms most overlooked qualities. Green, T., & Green, J. (2018). Flipgrid: Adding Voice and Video to Online Discussions. TechTrends, 62(1), 128-130. ​Madden, J. (2018). Feeding Forward. School Reform: Case Studies in Teaching Improvement, 192. McClure, C., & McAndrews, L. (2016). 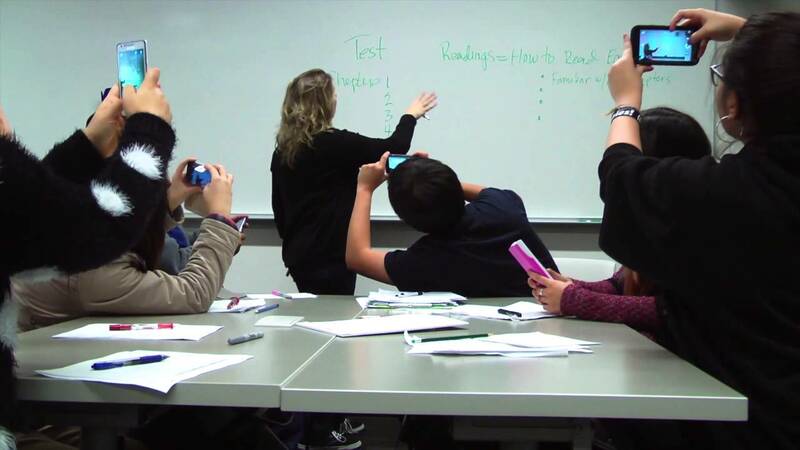 Going native to reach the digital natives: New technologies for the classroom. Given my role as eLearning Coordinator at my school, I have a passion for and firm belief in the application of technology in education. This does, however, rest on a couple of key understandings. Firstly however flashy and exciting, technology is a tool and like any tool, the outcome depends greatly on how it is used. The availability of ICT-related educational devices (such as computers, tablets, software or educational programs) is not enough to improve student achievement, but it is the actual practice that teachers make of these devices – together with teachers’ digital literacy, level of ICT skills and ICT-related beliefs – that makes the difference. Too often I see teachers throwing technology at their students and wondering why a lesson fails. They blame the technology or worse, the children. This approach generates anxiety in learners and lessens teacher trust in classroom technology. At the beginning of this year, I launched a technology training program with some of the youngest 1:1 students at my school. It focused on explicitly teaching then the skills to get the most out of their devices and the native software installed. 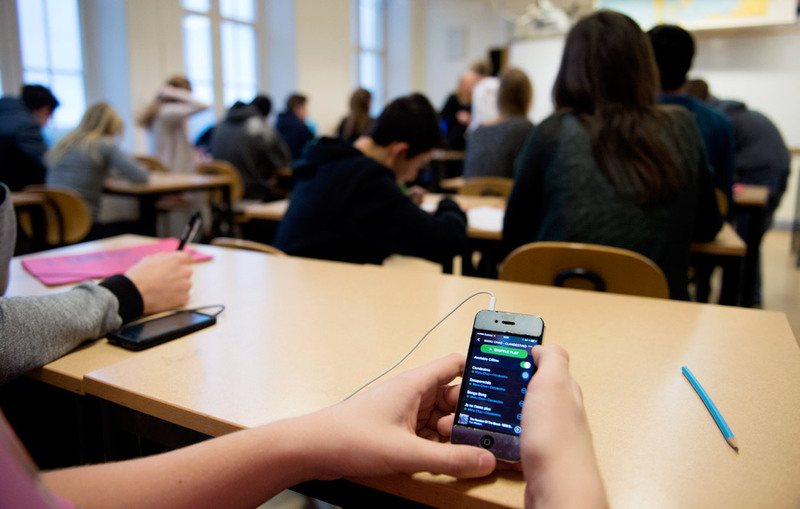 Teachers of these students reported high rates of success in their classroom compared with previous years in relation to the application of student 1:1 devices. Having technology in schools doesn't mean that Schools have to let go of other things. Again it comes down to how the teacher leverages it and what they choose to use it for. There doesn't need to be a binary argument of one way or another. With a balanced approached, schools get the best of both worlds. ​In contrast, schools that are actively working to not incorporate technology are doing their students a disservice in my opinion. Prensky, M. (2001). 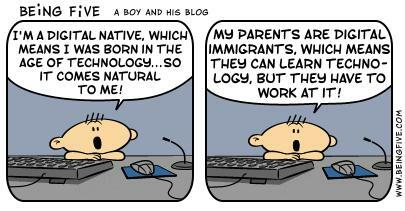 Digital natives, digital immigrants. On the Horizon, 9(5), 1–2. Smith, J., Skrbis, Z., & Western, M. (2013). 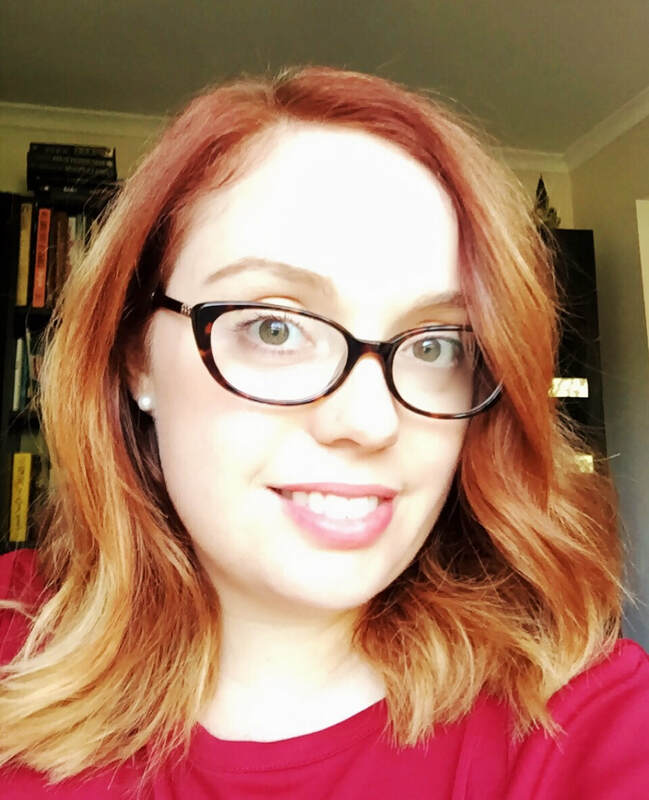 Beneath the ‘Digital Native’ myth Understanding young Australians’ online time use. Journal of Sociology, 49(1), 97-118. Punya Mishra presented a keynote on technology in education at the 21st Century Learning Conference in Hong Kong (2012). In his opening remarks he stated that it is easy to get caught up in the technicalities of things and quoted Ted Nelson in saying that it is the unifying vision that is important. Mishra's discussion around the concept of technocentrism aligns with my previous thoughts on technology being the silver bullet. It ignores content and pedagogy. Yet it seems to be common in education. "Throw some technology at it and that will solve the problem" or "we need to look like we are innovating...quick, get a laptop in here", sometimes seem to be what drives technology implementation. The consideration needs to be much larger and requires to make connections between the application of technology, content and good pedagogy. In his keynote, Mishra provides the example of school students that are allowed to access the internet in an exam. This changes the nature of the exam questions from the regurgitation of knowledge to its application and perhaps even analysis. While the technology isn't doing the work for these students, it is changing how they go about their work, a reflection on the way technology is changing many aspects of our lives. It could be argued that type of test requires a deeper understanding of the topic. Furthermore, why test what can be Googled? BUT technology alone is not going to bring about change. Did the students come to learn or understand the ideas for that exam because of technology? No. This is where teachers bring their unique pedagogical approaches and content knowledge to the table. Purposing technology in education is a creative and innovative act. Many schools have people in technology coaching roles to support this. From my experience in being in such a role myself, predicting the potential use of technology across many subject areas is no easy feat. This is why Mishra, encourages teachers to explore, create and share, building a community of professional learners. One teacher might see how another teacher uses a technology tool and then apply that tool in a completely different way in their own classroom. What is important is that the tool is being thoughtfully applied based on the needs of the students, pedagogical goals of the teacher and context of the classroom.